Highway and Tourist police continued their crackdown on illegal tour guides at another Pattaya-area checkpoint. 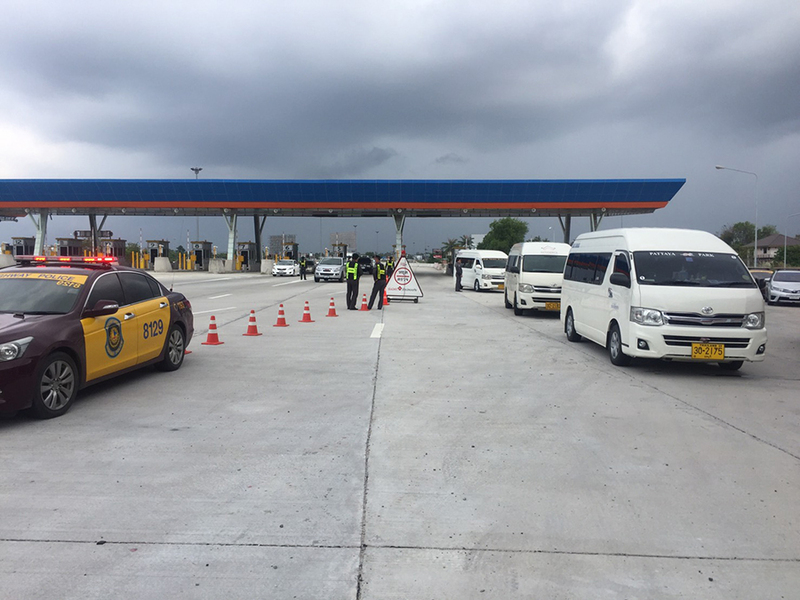 Highway and Tourist police continued their crackdown on illegal tour guides, this time setting up a checkpoint at the Nongprue Sub-district tollgate exiting Highway 7. Officers set up March 30 at the Nongprue Sub-district tollgate exiting Highway 7 to catch tour buses entering Pattaya. Drivers were checked for alertness and sobriety while the licenses of tour guides were inspected. Two tour guides were arrested for working without licenses at March 23 checkpoint run on Sukhumvit Road. Police officials said the clampdown is aimed at ensuring safety for tourists before the busy Songkran period.